Black leather (Calf). Embossed designer motif, gold-tone clasp. Push stud fastening ($650). 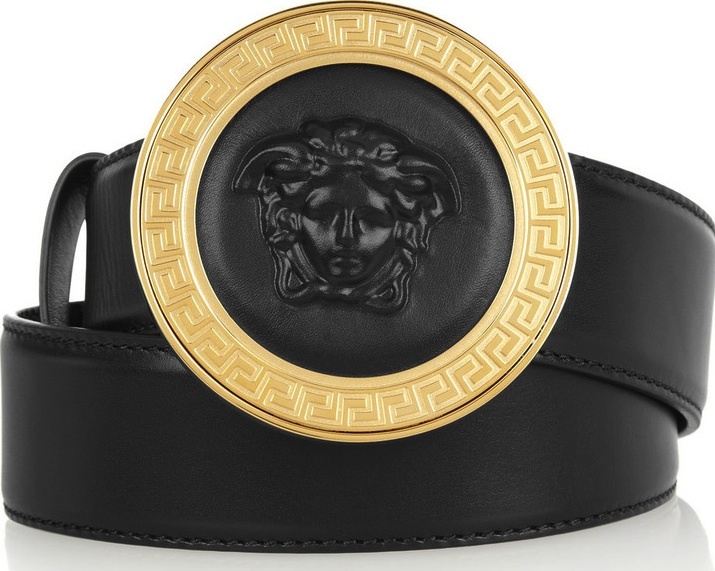 Hi, you can find it on LYST :http://www.lyst.com/accessories/versace-embossed-leather-belt-black/ Thank you!